Suboxone, once thought to be a miracle drug to treat opiate addiction, is actually causing an epidemic in it’s own right. Suboxone is a mixture of buprenorphine (a semi-synthetic opioid) and naloxone (an opiate blocker) and has seemingly become overprescribed by medical professionals to an uninformed patient population. Available in the United States since 2003, studies demonstrate that the drug was originally approved by the FDA to be used as a medicine to aid opiate addicted patients that were going through the painful effects of opiate withdrawal. The use of the drug was meant to treat opiate addiction patients in the privacy of a doctor’s office to help opiate-addicted patients overcome addiction* . However, it seems clear many professionals started to see the financial benefits of prescribing Suboxone as a maintenance drug (similar to how methadone has been prescribed for years.) Because of this, many patients have been on a Suboxone maintenance program for many years, some as long 10 plus years. Suboxone as an Opiate Maintenance Drug.. These patients were attempting to overcome addictions to powerful narcotics like heroin and OxyContin and many doctors offered Suboxone as the answer to these patients. However, regardless of the justifications or rationalizations from many within the medical and addiction treatment field, the basic premise of a Suboxone maintenance program is trading one illegal drug for a legal drug. It is saying “take this pill and you’ll be okay” or “take this pill and it will take care of your addiction.” Basically, patients going into a doctor’s office to find away to “overcome their addiction” are years later finding themselves still physically dependent and addicted to a substance. Suboxone keeps opiate withdrawal symptoms at bay, but does not offer any actual treatment and clearly does not offer a solution for overcoming addiction. Take the Suboxone supply away from a person on a Suboxone maintenance program and there is little doubt that they will turn to heroin or OxyContin or another form of opiate once withdrawal symptoms begin. This is not the patients fault- they were sold a faulty bill of goods by many of those people prescribing Suboxone. Sure, a competent and informed doctor will explain that a patient needs treatment for their psychological and emotional issues as well, and a competent doctor will be informed of the physical effects of long term Suboxone use, but the question is how many doctor’s are uninformed and therefore unable to give this necessary information to their patients? Patients being prescribed Suboxone were told this prescribed medicine would be the solution to their problem of drug addiction. In addition to the fact that a patient is still physically dependent on a substance to function, there are several disturbing effects of Suboxone that are rarely discussed. Is Suboxone Bad? What can be done to lessen the side effects? Because Suboxone is often prescribed by individual doctors that are untrained in addiction medicine and treating addiction (look up the requirements that a doctor needs to be allowed to prescribe Suboxone), there are a lot of issues with the drug that go unnoticed and unregulated. Suboxone as a medication for opiate detox is an excellent drug. In the hands of an informed, trained physician, Suboxone can make a painful opiate detox much more comfortable. 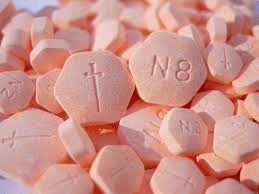 Suboxone is an excellent drug for aiding an opiate addict through withdrawal symptoms. It works wonderful in that manner. However, long term Suboxone use causes a myriad of medical issues. Furthermore, many long term Suboxone users claim getting off Suboxone is more difficult than even getting off OxyContin or heroin. Why? Because unlike an intensely painful 5-7 or even 14 day detox from opiates, Suboxone can even stay in the body for up to 8 or 9 days, the detox from Suboxone can last weeks or even months and with it brings not only painful physical issues but also highly concerning psychological issues. Patients complain of horrific bouts of depression. Many claim that the withdrawal symptoms of Suboxone, unlike the intense withdrawal of heroin or OxyContin, comes in waves and can lasts for weeks or months. Long term Suboxone use can cause withdrawal symptoms such as: anxiety, depression, night sweats, fatigue, nausea, restlessness, joint and muscle pain, insomnia, loss of libido, lack of motivation and in some cases psychosis. Unlike opiate withdrawal symptoms that last maybe up to a week, these Suboxone withdrawal symptoms can last for several weeks to several months. How does this sound any better than being physically dependent on heroin or prescription painkillers? The truth is that opiate addicts are often times looked at as being “unable to recover” by many within the medical field. The relapse rate for opiate addicts is extremely high and the rate of overdose and death is much higher than any other drug in the addiction treatment field. Often opiate addicts that go to treatment and achieve some time away from their drug of choice end up using opiates again when they relapse and because of a decreased tolerance end up using too much and overdosing. Many of them die. Because of this, opiate replacement therapy like Suboxone and methadone maintenance is often used by doctors and some treatment centers as a model known as “harm reduction”. This idea is selling the patient short. Treating them with a “harm reduction” model rather than actually offering them comprehensive addiction treatment seems to be lazy, uninformed and shows little understanding of addiction treatment. Either that, or the doctor is simply looking for a paycheck since it is much more profitable to keep someone on long term maintenance than actually getting them clean and sober by giving them comprehensive treatment. The wonder drug Suboxone that is the catalyst for this new “opiate replacement therapy” maintenance model is beginning to cause more harm than good. More and more people are getting prescribed Suboxone, getting less actual treatment and not actually improving the quality of their lives. They are simply not using opiates…sometimes. Often they replace opiate use with increased problem drinking or the use of other illicit drugs like cocaine or benzodiazepines like Xanax. Many still suffer from underlying emotional or traumatic issues that are never addressed. And when these people finally realize that their “solution” of Suboxone has become a problem and actually want to get off the crutch, they find it harder to do than the opiate they were originally trying to get off of in the first place. Now, there are many competent, informed doctors that utilize Suboxone well, couple it comprehensive treatment and take a holistic look at each patient and their situation. There are certain cases where perhaps Suboxone maintenance or a long term Suboxone detox model is the best solution for an individuals situation. But that is few and far between. More often than not, many doctors prescribing Suboxone are doing so without requiring the patient to get any type of comprehensive treatment. Additionally, many doctors that prescribe Suboxone require little more than an appointment and a cash payment for a patient to receive the medication. Many doctors, after an initial visit, will simply prescribe the medication after a short follow up visit. This certainly does not seem like comprehensive addiction treatment in the eyes of many professionals. This is certainly not a recovery-based model by any stretch of the imagination. Struggling with an Opiate Addiction? Contact a Recovery Professional Today! At Maryland Addiction Recovery Center, we do not believe in a “harm reduction model” of treatment. We do not believe in a long-term “maintenance” model of treatment. We DO believe that Suboxone is a useful medication to aid someone in getting off opiates altogether and we DO use it at MARC utilizing a detox protocol. Some of us are former opiate and heroin addicts now in long-term recovery. Some of us have dealt firsthand with a Suboxone maintenance model and have dealt with the issues of getting off Suboxone. We believe that there is a better way, that actual recovery exists, that you can be free and clear and not need to be medication dependent in this way. We believe that no opiate addict is a lost cause and we don’t believe in selling an addict or their family short by offering an easier, softer way. We believe in actual treatment, comprehensive addiction treatment that supports long-term, sustainable recovery. We believe that any addict can recover. *This original blog post claimed that Suboxone was originally approved as a detox medication. Upon further research, it seems that claim was inaccurate. The original FDA approval was for the treatment of opiate dependence with the benefit that it could be prescribed by a physician in the privacy of a doctor’s office.